– Funder Education: Provide learning opportunities about Asian American/Pacific Islander (AAPI) community needs and expand AAPI staff representation in philanthropy. 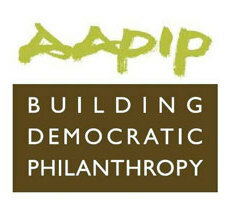 – Support AAPIs in the Philanthropic Field: Strengthen the network of AAPIs working in the philanthropic field through networking, leadership development, and other activities. – Expand Philanthropy: Expand philanthropy among local AAPIs by supporting two AAPI Giving Circles in Massachusetts: Saffron Circle and Jasmine Asian Women Giving Circle. – Enhance AAPI Nonprofits: Facilitate the development of the capacity of local AAPI nonprofits, mainly by partnering with organizations that can deliver needed technical assistance.